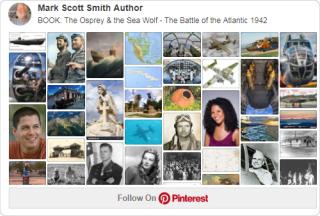 Named the “Battle of the Atlantic,” by Winston Churchill, the course of the WWII six-year U-boat campaign changed constantly, with one side or the other gaining advantage, as each side developed new weapons, tactics, counter-measures and equipment. By the end of 1942, the Allies were gradually gaining the upper hand. When the U.S. finally instituted a convoy system in mid-1942, losses to U-boats were markedly reduced and the “second happy time” along the Eastern seaboard of America came to an end. In July 1942 Admiral Karl Dönitz ordered the withdrawal of all U-boats from the United States Atlantic coast and shifted attention back to the North Atlantic. 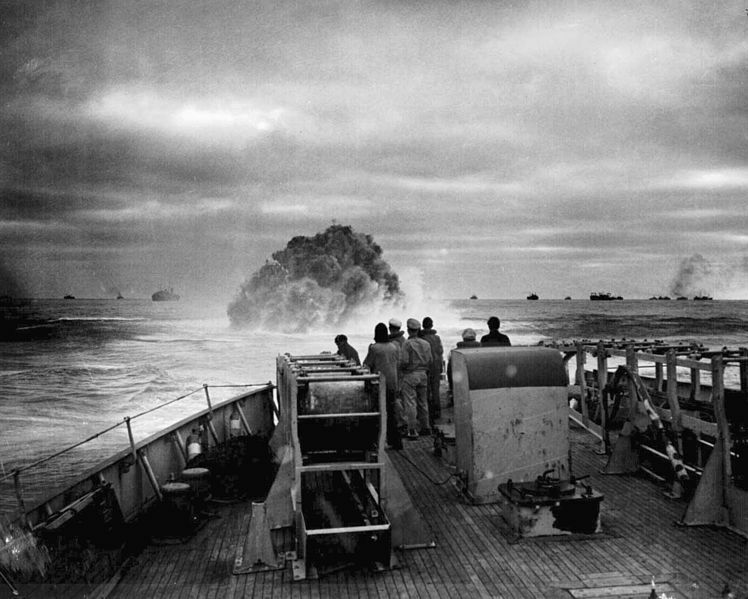 There wolf packs of 10-15 U-boats began attacking multiple convoy routes in mid-Atlantic “air gaps” where convoys lacked aircraft support. In the fall of 1942, convoy losses sharply increased. 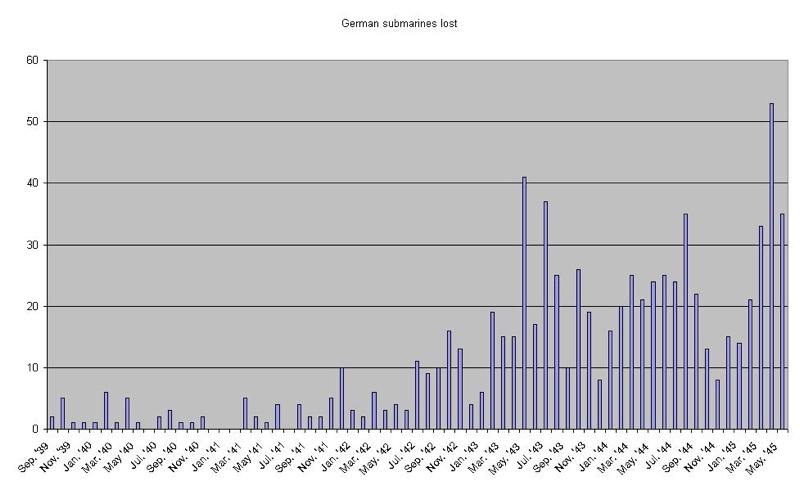 But so did U-boat losses. 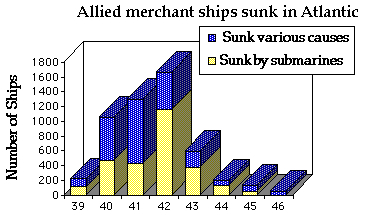 While just 21 U-boats were lost in the first half of 1942, 60 went down in August-September 1942 – one for every 10 merchant ships sunk. This New York Times excerpt from March 1942 shows how much in error American analysis of the U-Boat problem was at that time.